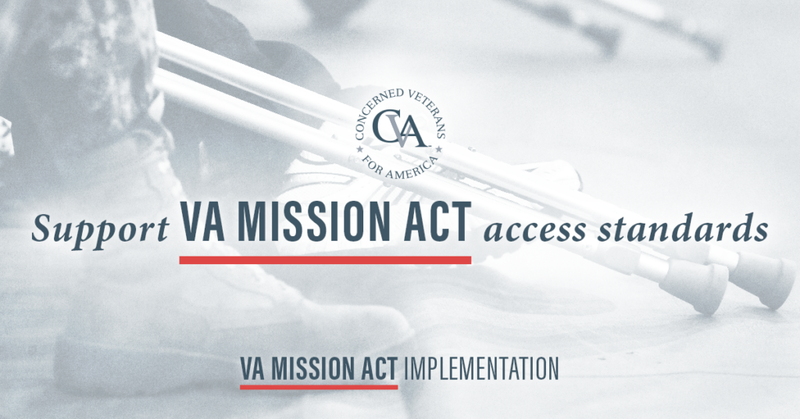 The Department of Veterans Affairs has released its proposed access standards for veterans to seek non-VA medical care through the VA MISSION Act. Under the Veterans Choice Program, which is being overhauled by provisions of the VA MISSION Act, veterans had to meet access requirements that were confusing and largely arbitrary. The new access standards should streamline the process and give more veterans more options on where, when and how they get their care. Why Does the VA Need New Access Standards? Under the old rules, veterans were eligible for non-VA care under the 40-mile/30-day rule. If you had to travel more than 40 miles for an appointment or wait longer than 30 days, you could seek care through the Veterans Choice Program. That criteria didn’t reflect the real needs of veterans. Because of loopholes in the rules, veterans were still driving long distances for appointments, waiting weeks to see doctors or getting lost in the VA bureaucracy. The program itself was also mismanaged. The Big Question: What Are the New Standards? Access to non-VA care will now be based on average drive times rather than miles, while still using appointment wait times as a standard. A veteran would be able to see a non-VA provider for primary care and mental health care if their drive to a VA facility is more than 30 minutes. A veteran would be able to see a non-VA provider for specialty care if their drive is more than 60 minutes. Appointment wait time standards would change too. Instead of seeing a non-VA provider if the wait is longer than 30 days, the standard would be 20 days for primary care and mental health care and 28 days for specialty care from the date an appointment was requested. The bottom line of these new access standards is that more veterans would be eligible for non-VA care, but they wouldn’t be forced out of the VA. When veterans want to use the VA for medical care, they can do that. When the VA can’t provide quality, timely care, the veteran has more opportunity to seek care in the community. It should be all about options for those who put on the uniform in defense of this country. These new access standards put the veteran first while allowing the VA to provide the best possible care it can. Do you think veterans should have more options in where they receive their medical care? Tell your lawmaker!